MORRISVILLE, N.C., October 5, 2018 – SunTech Medical, a manufacturer of blood pressure monitoring products and technologies, announces today that Fear FreeSM, an organization whose mission is to prevent and alleviate fear and anxiety in pets, has selected SunTech’s veterinary blood pressure monitors for the Fear Free Preferred Product Program. The addition of SunTech monitors to the program gives all Fear Free members access to special pricing on these items. Founded in 2016, Fear Free provides online and in-person education to veterinary professionals, the pet professional community, and pet owners. The Fear Free Preferred Product Program is designed to provide Fear Free Certified Professionals access to products and services that are aligned with Fear Free protocols, procedures and recommendations. As Fear Free Certified Professionals implement Fear Free in their workplace, gaining access to the preferred products and services will facilitate and speed up that process. Fear Free selects business partners that will be reliable resources for its certified professionals’ practice management needs. These monitors are designed to measure blood pressure quickly, quietly, and accurately in awake and sedated companion animals. 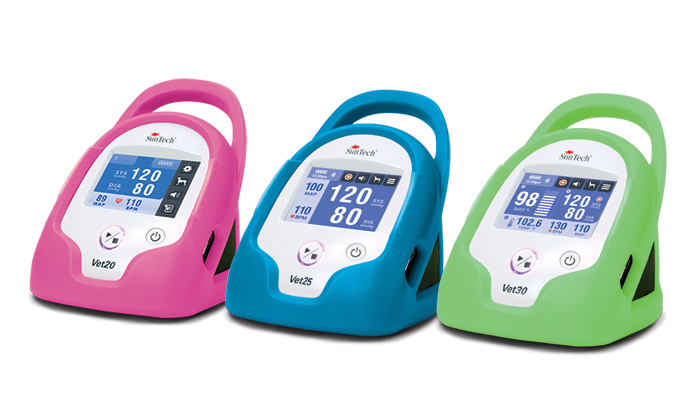 Headquartered in North Carolina’s Research Triangle, SunTech Medical is a manufacturer of clinical-grade, non-invasive blood pressure products and technologies. SunTech continuously strives to develop and improve leading-edge technology to obtain the most accurate and reliable blood pressure measurements.